When Mark Baudler became senior manager of HR at Panduit, he immediately sought to improve their recruiting function. Mark wanted to curb recruiting costs, maintain the company culture, reduce the time it takes to fill technical positions, and improve the overall satisfaction of hiring managers. Mark realized that relocating new employees and employing an ineffectual contract recruiting staff were both big hits to the budget. In addition, talent acquisition was a black hole where it would sometimes take weeks before requests to fill vacant positions were even acknowledged. 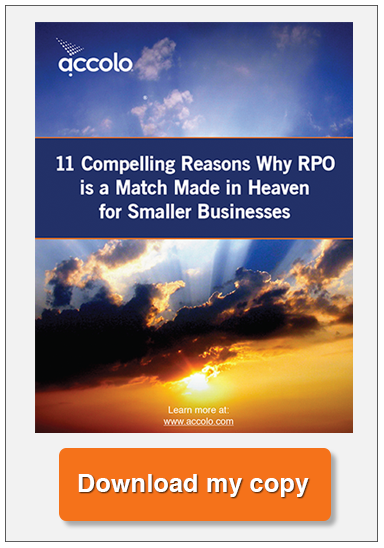 Mark knew something had to change, and luckily he found Accolo’s Elevated RPO Solution. When Accolo partnered with Panduit and conducted a thorough evaluation, the first thing they did was to put special emphasis on sourcing more local talent in order to cut relocation costs. Accolo also took a look at Panduit’s job board subscriptions and eliminated poorly performing subscriptions based on the number and quality of hires. 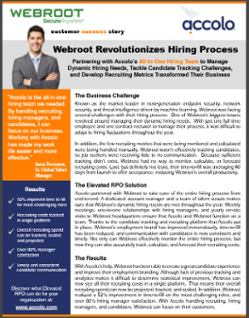 Finally, Accolo replaced Panduit’s contract recruiting staff with a single on-site RPO liaison. The on-site liaison was not only able to offer invaluable industry advice to the HR team, but was also actively involved in making sure that candidates sourced by Accolo were a good fit for hiring managers and the company culture at Panduit. With Accolo’s help, Panduit was able to improve their average time to fill for their most challenging positions by a whopping 55%, a full three months sooner. 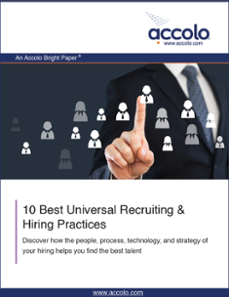 Not only did hiring manager satisfaction increase by 58%, due to the quality of candidates sourced by Accolo, but the black hole of talent acquisition disappeared. Lastly, Panduit’s total recruitment spend decreased by 30%. 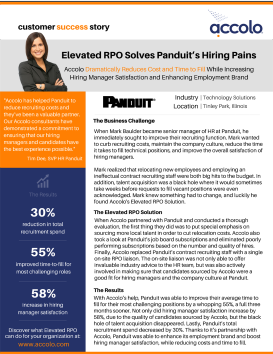 Thanks to its partnership with Accolo, Panduit was able to enhance its employment brand and boost hiring manager satisfaction, while reducing costs and time to fill.